Marian Smith recaptures a rich period in French musical theater when ballet and opera were intimately connected. 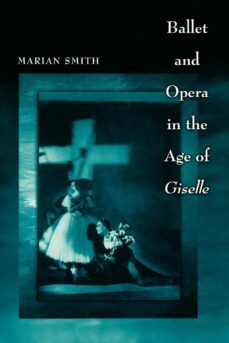 Focusing on the age of Giselle at the Paris Opéra (from the 1830s through the 1840s), Smith offers an unprecedented look at the structural and thematic relationship between the two genres. She argues that a deeper understanding of both ballet and opera--and of nineteenth-century theater-going culture in general--may be gained by examining them within the same framework instead of following the usual practice of telling their histories separately. This handsomely illustrated book ultimately provides a new portrait of the Opéra during a period long celebrated for its box-office successes in both genres.Smith begins by showing how gestures were encoded in the musical language that composers used in ballet and in opera. She moves on to a wide range of topics, including the relationship between the gestures of the singers and the movements of the dancers, and the distinction between dance that represents dancing (entertainment staged within the story of the opera) and dance that represents action. Smith maintains that ballet-pantomime and opera continued to rely on each other well into the nineteenth century, even as they thrived independently. The "divorce" between the two arts occurred little by little, and may be traced through unlikely sources: controversies in the press about the changing nature of ballet-pantomime music, shifting ideas about originality, complaints about the ridiculousness of pantomime, and a little-known rehearsal score for Giselle.